2. Specify outcome-based metrics. Identify measureable outcomes to achieve for each time horizon. Define them as either objectives key results (OKRs), key performance indicators (KPIs), planning language using precise scale and meter parameters (Planguage), or simple measurable objectives. Regardless what you use, be sure the outcomes are testable. 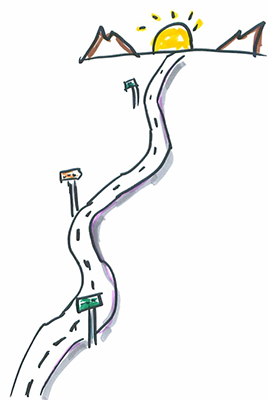 What is your experience with making product roadmaps agile? For more, check out my slides from “Products, Not Projects: Delivering Value with Product Roadmaps,” a version of a presentation on product roadmapping that I’ve shared in both product management and agile gatherings. Connect with us if you’d like to know how we can help you create and sustain your agile product roadmap.